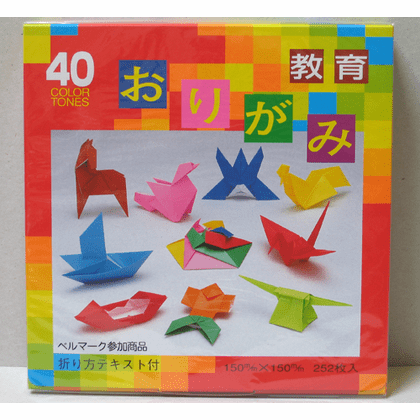 Packet of origami paper that has 252 sheets in 40 different colors. Included are instructions in Japanese for folding many different designs. 144 sheets of 16 bright solid colors origami paper. 12 sheets in 9 color foil origami paper. 96 sheets of 16 soft color, pastel colors origami paper.